We all want to look good in photographs! Usually, when viewing a picture in which we are included finding ourselves is the first thing we look for. And then we tend to judge the whole photograph purely on whether we like how we look or not. So if we think we look good we’re happy to declare it a good photograph. But if we don’t like how we look we judge it a bad picture, even if all the other elements of the photo are perfect! Some photos are more important than others and if it’s for business or professional purposes then it can be crucial! Of all the images your company or business use your personal profile picture is always going to be the most important! No matter how impressive your products, services or assets, people want to know who they are doing business with and will always seek out your profile photo for that face-to-face connection. First impressions are very important and give you the opportunity to lay a foundation of client trust and confidence right from the get-go. 1) Quality. The clarity and quality of your photograph speaks volumes. A crystal clear, pin sharp image portrays professionalism, therefore, make sure it is well lit, focus point is on your eyes and it is not fuzzy or shaky. If the photograph is to be used on the internet it will benefit from a couple of tweaks before you upload it as many platforms, particularly, facebook compress the image which can seriously degrade it. Increasing the sharpness and contrast by around 10% is a great help as is resizing the image to the exact dimensions it’s going to be used. 2) What to wear? 'Smart and Simple' is a good rule. Don’t go too casual or too formal. Imagine you’re asked to give a short talk or presentation about your business in front of a room full of potential clients. If your business has a uniform or specific dress code then stick with that as it matches your branding. Make sure you suit what you wear. This may sound obvious but it’s one the most common mistakes. A certain style may be the height of fashion but it has to suit your own body shape, size and personality for it to work on you. 3) How to pose? Turn your body a quarter away from the camera and then turn your head back towards the camera. This will improve how you look immediately! 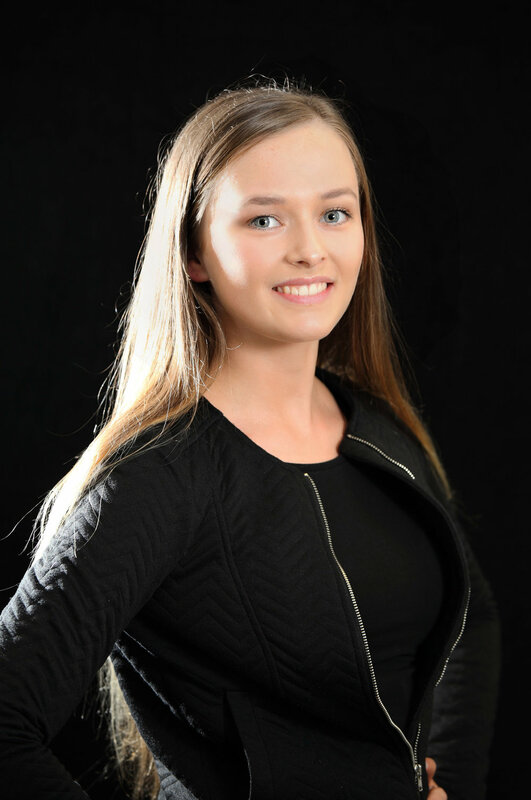 A professional photographer can then refine your pose from here to suit your face and body shape. If you choose to be seated for your photograph don’t slide or lean all the way back on the chair as this will make your shoulders and upper body appear as if you’re slouching. Sit up straight and then slide your bum forward so your perched on the edge of the seat with your back unsupported. This will give you a good posture. 4) Where to take it? Your backdrop is crucial so consider carefully where you will stand. Cluttered backgrounds, eye sores, and other distractions scream amateur! Go with a simple, plain backdrop (white or black is good) or a location that fits in with your work. Props can be good if used subtly and strategically. 5) How to look great? Choice of lens and lighting are the two key elements. Lens: The lens on your camera makes an enormous difference. A wide angle lens (such as on your smartphone) distorts the image making you look big and bulky. A telephoto lens (ie: between 80-150mm) does the opposite, it compresses the image giving a far more pleasing and flattering result. Lighting: Soft, diffused, angled lighting is the most flattering. Avoid using the flash on the camera as it is far too harsh, giving the ‘rabbit in the headlights’ effect. Perfect, natural lighting would be ideal however as we live in Scotland we often fluctuate between strong sunlight that is too harsh or dull, drab light that is too dull. A good professional photographer will carry supplemental lighting with him and is skilled at balancing things out. Be sure to check the photographers sample images carefully to ensure you book the right one. I’ve had a lot of messages following the article published in The Scottish Wedding Directory 7 Top Tips for Gorgeous Wedding Pics from both brides and grooms and also fellow photographers. The most common questions, especially from the photographers, related to my use of off camera lighting. If you got chance to read the article you will note that I opt to use this even when outdoors, and this is the key for producing high impact images against run-of-the-mill snaps. In the Scottish Wedding Directory feature all the photos they used were of course ‘killer images’ (their description not mine!) so I thought you may find it interesting here to see some comparisons which I shot recently on an Engagement Shoot. 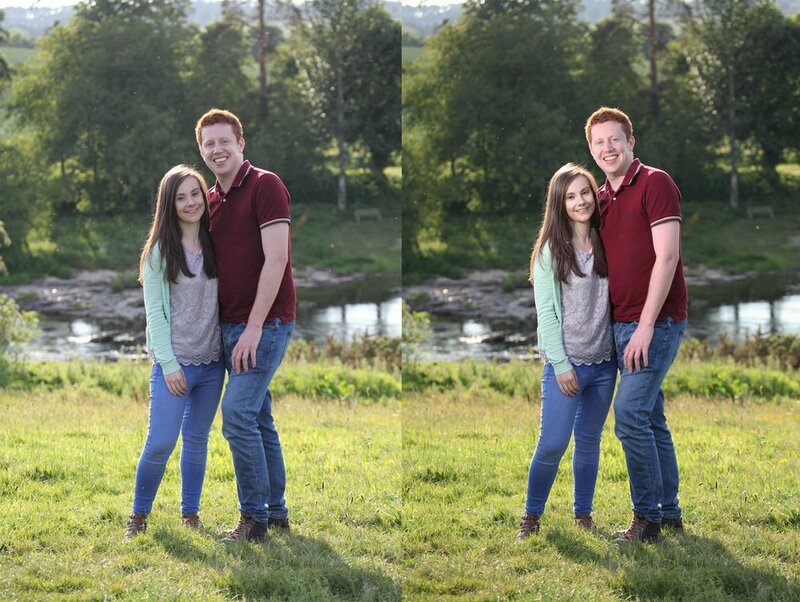 The photo on the left is straight from the camera taken in natural light. It was a beautiful sunny day, so the lighting is quite bright and pleasant and if viewed on its own most would be quite happy with the result. The photo on the right was taken immediately after but this time with supplemental, off camera lighting. Notice how much more striking it is ensuring the couple pop off the page, and even the background retains more colour and intensity. Natural light is always beautiful for portrait style photographs especially when you’re in a situation where you can position your subject perfectly. A typical example of this is placing your subject near a window to utilise the window light as it drops into the room. However, living in the UK we have to accept that for the majority of the time our weather creates rather dull, flat light that makes our photos appear rather lacklustre or even drab. The only way to change this is if we are able to manipulate the lighting in some way. There are various means at a photographers disposal for doing this but on a fast paced wedding day, for me, the most practical and effective is to use off camera lighting. The top image was taken in natural light whereas the lower image made use of off camera lighting positioned fairly close to the heads at a 45 degree angle which enables me to sculpt the faces with the light, smoothing out the skin tones and making the faces appear a touch slimmer so not only is it a more striking photo but also more flattering! Notice, too, how a nice catch light is created in the eyes (bottom picture) making them stand out which has not been achieved with natural light only. Camera lighting, especially when using flash guns or speedlites, is very much misunderstood and is one of the most frequently requested subjects I get from advanced and semi-professional photographers who book One-to-one photography training with me. Many photographers find it so hard getting to grips with this they give up and decide to brand themselves as ‘natural light’ only photographers. But with photography lighting is everything! That’s what the word photograph means; photo = light, graph = painting/drawing. So to produce those ‘killer’ images you need to learn to work the light! Similar to the previous shot but this time I'm able to pose the couple in a different place and even re-position them for a new background moving my light around to the opposite side so I can still sculpt their faces the way I want despite the fact that I now have the sun on the opposite side (notice how flat the light is on the subjects faces in the top pic because the sun is on the wrong side). I've also dialled the power down to around a quarter so it's not too strong and overbearing but is enough to highlight the faces in a flattering way. When I photograph weddings I always use supplemental lighting. This gives me total control over virtually every aspect of the photograph. I can manage its power, strength, intensity, direction, angle and pretty much everything! I can over power the natural light if I think it’s too flat or simply balance the two up for the most flattering effect. I use supplemental lighting even when outside and you can see from a couple of the examples here the difference it makes to the photographs turning them from basic snaps into a photograph that really jumps of the page! Here's an example from a recent wedding. The top photo (natural light) is pleasant enough but look how much more impact the lower image has and how much more flattering the bride looks. Because I have total control of my lighting I'm also able to over power the angle of natural light and get rid of that unsightly shadow falling across half of the brides face in the top pic! Because the lighting is off camera (usually fixed to a light stand or carried by an assistant) it also ensures you avoid the ‘rabbit in the headlights’ look that you get from an on camera flashgun. A flashgun on the camera produces very harsh light and because it is being fired from directly behind the camera lens is extremely unflattering. But angled lighting is just beautiful allowing you to sculpt your subjects faces so you can really bring out their natural beauty and compliment their looks and features to the best advantage. If you're interested in booking me for your wedding photography I would love to hear from you. I'll be exhibiting at the Kelso Wedding Show this coming Sunday, April 22nd. If you're currently wedding planning come along for a chat and have a look through some amazing wedding albums. It's a great opportunity to see how you can have your own bespoke, designed album giving you something unique and exclusive. 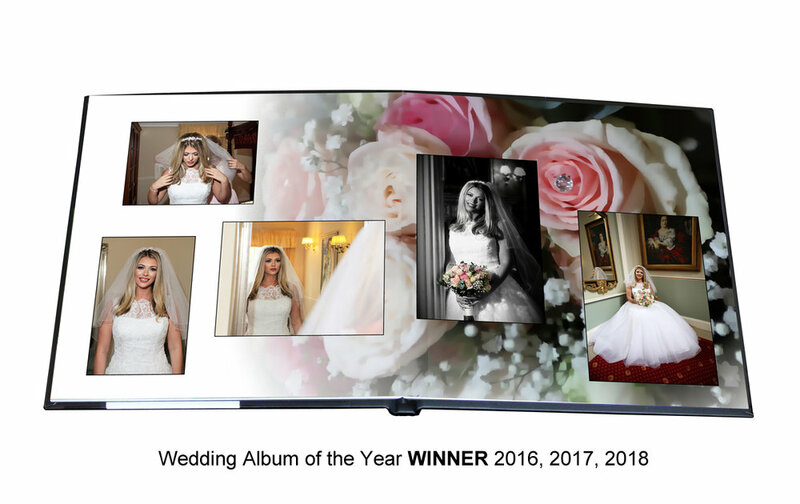 At the Creative Business of the Year Awards my albums were described as "A combination of stunning photography and Fine Art photographic design. There are no other wedding photographers producing anything near this level of creativity!" The Kelso Wedding Show is a great opportunity to see this for yourself. The Kelso Wedding Show is at The Border Union Showground, Springwood Park. Doors open 10.30am. Cat Walk shows are 12.30am and 3pm. If you're currently looking for a wedding photographer in Edinburgh, Glasgow, Borders or elsewhere and not able to make it along to the wedding show please get in touch and we can arrange a personal consultation at a time and place convenient to you. I’m delighted to announce the launch of my new website and thank you for stopping by and visiting! There’s a few differences from my previous website the main one being simplification. My old website (which is still active as I have a first page google ranking for Photography Training Courses in Edinburgh) had evolved over the years and basically grown into a bit of a behemoth which I felt was no longer showcasing my work in the way I wanted. Hence here we are with www.ph4.photos! To give the launch a boost I’m running a DOUBLE UP special offer across my core services - Wedding Photography, Corporate Photography and Photography Training. However, with over 30 years experience and expertise as a professional photographer I can cover any photography related commission or assignment you may have so please get in touch to discuss your project or idea. 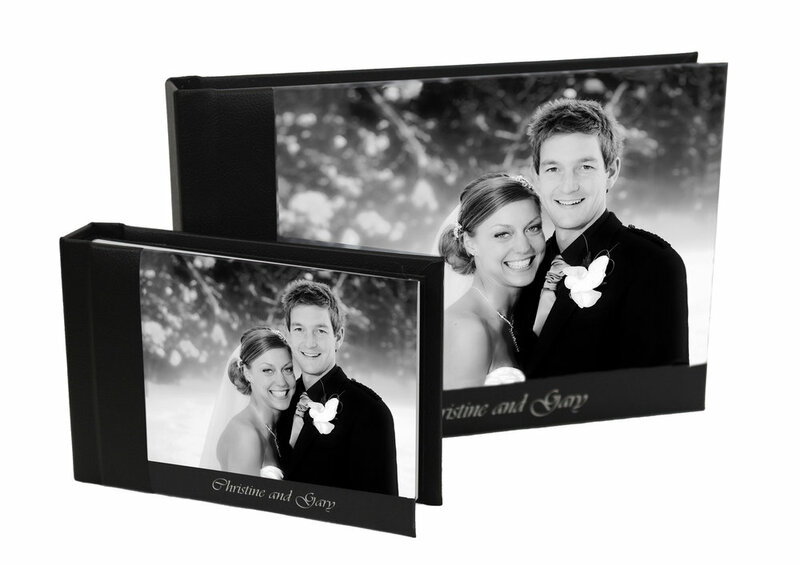 Double Your Wedding Albums - Two complimentary Parent Albums alongside your own. Professional Headshots - Double up your number of images at no extra charge. Two For One - Bring a friend on your Photography Training Day. These offers are available on all bookings for any of the above made between now and April 15th. Wedding bookings are subject to date availability which are taken on a first come, first served basis. Thank you again for your support and interest and I hope we may be able to work together sometime soon. I’ve been doing a lot of work the last few weeks on building the new website and delighted that we’re almost there! The official launch is this coming Friday, April 6th, and I’ll be running some special promotional offers all over the weekend and into the following week, too. So if you may be needing a photographer anytime soon perhaps for a wedding, some new headshots, a corporate shoot or for some photography training please check back on Friday and pick up an offer! 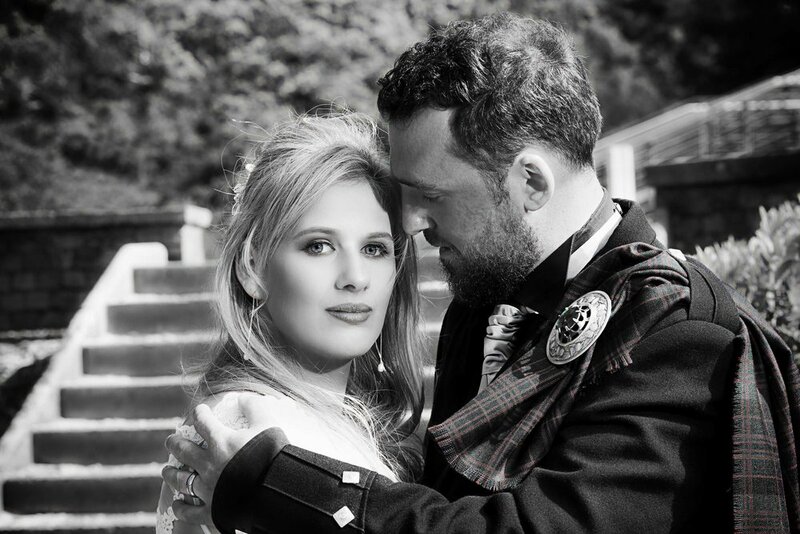 This is one from Mary and Alistair's Bride & Groom shoot at the magnificent Melville Castle. I've been photographing weddings since the age of 16 and just love the buzz of being part of such a special day! Mary posted a fantastic review of my wedding photography this week on the Scottish Wedding Directory. Putting a couple of clients through their paces on a recent Photography Training Day along the stunning St Abbs Head coastline. My most popular photography courses are the One-to-one Photography Training but I also do groups and workshops, too, as well as a few Photo Tours. Tribe Cycle Team headshot. I did two days with the Edinburgh Tribe Athletes mostly individual headshots of all the instructors and teams but we also squeezed in a few action and demonstration shots as well. Looking forward to working with them again as we have a few more shoots planned for the future.